Volvo introduced the all-new 2018 XC60 at the Geneva Motor Show. The refreshed premium sports utility vehicle (SUV) gains a more modern design and the latest features and technology that consumers have come to expected from a midsize crossover. "We have a strong heritage in designing stylish and dynamic SUVs that offer the latest in technology. The new XC60 will be no exception. 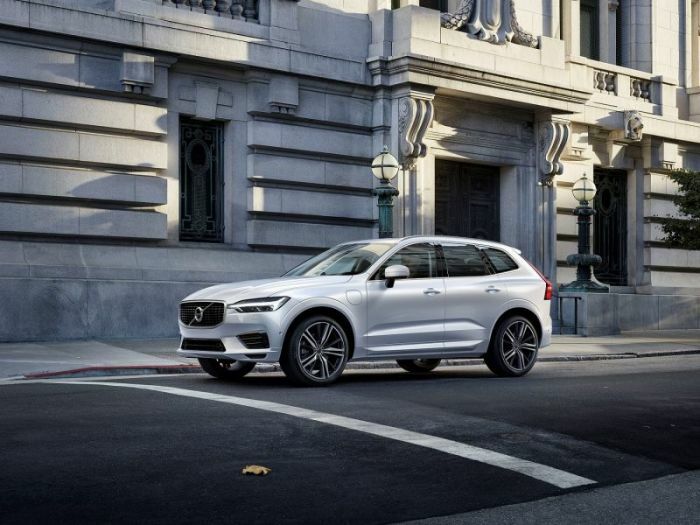 It's the perfect car for an active lifestyle, and it represents the next step in our transformation plan," said Håkan Samuelsson, president and chief executive of Volvo. The 2018 Volvo XC60 features a sporty and athletic design with sculpted surfaces, which is complemented by the interior's luxurious materials and latest technologies. The crossover's aesthetics is said to be the true embodiment of the brand's Scandinavian design language. The XC60 shares similar design elements with its bigger sibling, the XC90, including an overall silhouette and the Swedish automaker's signature "Thor's Hammer" headlights. This is expected considering that the all-new SUV was also built using the Scalable Product Architecture (SPA). The use of the new platform makes the 2018 XC60 1.8 inches longer, 4.3 inches wider and 2.1 inches lower than its predecessor. The wheelbase was also extended by 3.6 inches which translates to a more spacious cabin. The 2018 Volvo XC60 will be offered with a wide variety of powertrains including 190-horsepower and 235-horsepower diesel engines as well as 254-horsepower and 320-horsepower petrol engines. Sitting at the top of the range is a T8 Twin Engine petrol plug-in hybrid powertrain that delivers 407 horsepower and it can go from 0 to 62 miles per hour (mph) in 5.3 seconds. The SUV's engine will be mated to an eight-speed automatic transmission and will come standard with an all-wheel-drive system. However, a front-wheel drive option will be launched down the line. Furthermore, Volvo has updated its City Safety system to include Oncoming Lane Mitigation which uses Steer Assist to prevent collisions. Likewise, the Blind Spot Indication System uses Steer Assist to minimize the occurrence of lane-changing collisions. Other safety features that are also available include Large Animal Detection, Run-off-Road Mitigation and the semi-autonomous feature called Pilot Assist. With production of the 2018 Volvo XC60 to begin in mid-April, the premium SUV is expected to go on sale later this year. Once launched, it will compete with the likes of the Audi Q5, BMW X3, Mercedes-Benz GLC, Porsche Macan and the Jaguar F-Pace.